In 2016, Centro Latino Americano started a program at Hamlin Middle School (HMS) in Springfield, OR called Better Choices. The program was named by HMS youth and program staff. 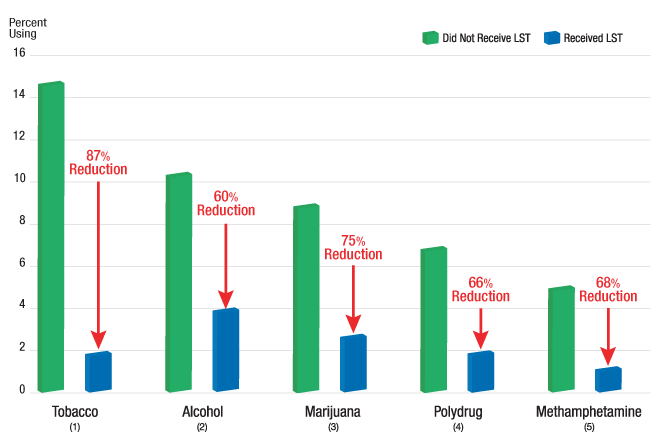 Initially, Better Choices sought to offer equitable access to Alcohol and Addictions counseling services in a school-based setting. The project also increased youth access to mental health services and community-based education for teachers and parents. The Better Choices program also initiated the launching of a school-based prevention curriculum called Botvin Life Skills Training, or LST. This is an evidenced-based curriculum for middle school youth that focuses on reducing both substance youth and violence. LST is a nationally recognized model for reducing use of multiple addictive substances and has been extensively researched. Botvin Life Skills Training is recognized as an effective prevention curriculum by the U.S. Department of Education, American Psychological Association, Centers for Disease Control and Prevention, Blueprints for Healthy Youth Development and many others. Centro Latino Americano has three trained LST facilitators who are bilingual and qualified to work with multicultural youth in Lane County. Lisbet holds an undergraduate degree in Family and Human Services from the University of Oregon as well as a CADC-1. Oscar will be graduating from the University of Oregon in June 2019 with an undergraduate degree in psychology and is training to get his CADC-1. Trevor holds a M.A. in Spanish literature from the University of Oregon and has worked at Centro since November 2013. Botvin Life Skills training is based on 35+ years of peer-reviewed scientific research and is recognized as the one of the most distinguished substance abuse prevention programs in the country. If you’re interested in learning more, or would like to know about how your school may benefit from LST, you can contact David Sáez, Executive Director, at dsaez@centrolatinoamericano.org. Sources: (1) Journal of Behavioral Medicine (1983), (2) Journal of Studies on Alcohol (1984), (3) Journal of Consulting and Clinical Psychology (1990), (4) Journal of the American Medical Association (1995), and (5) Archives of Pediatric & Adolescent Medicine (2006). Please contact us for more information on these and other studies.